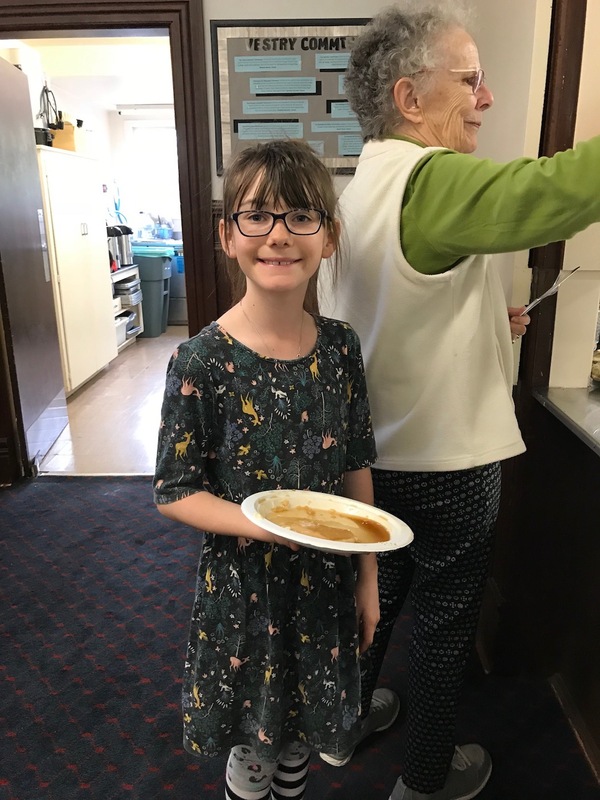 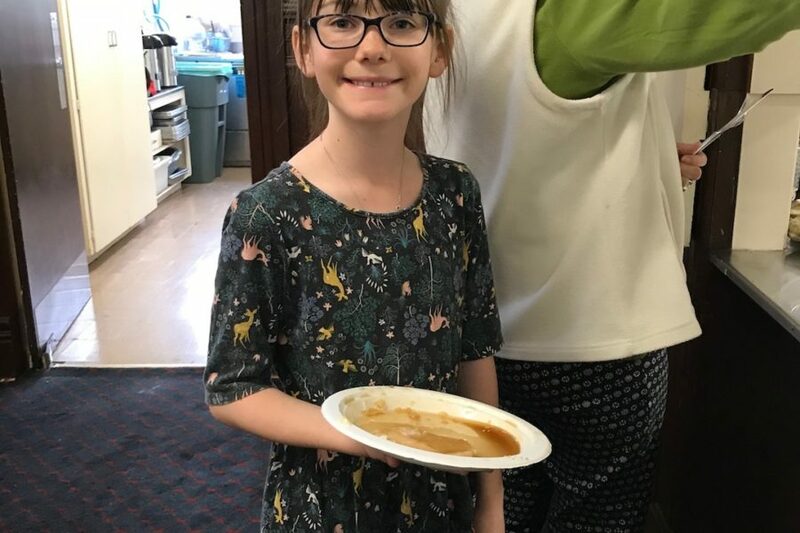 Pancake Breakfast a Delicious Success! 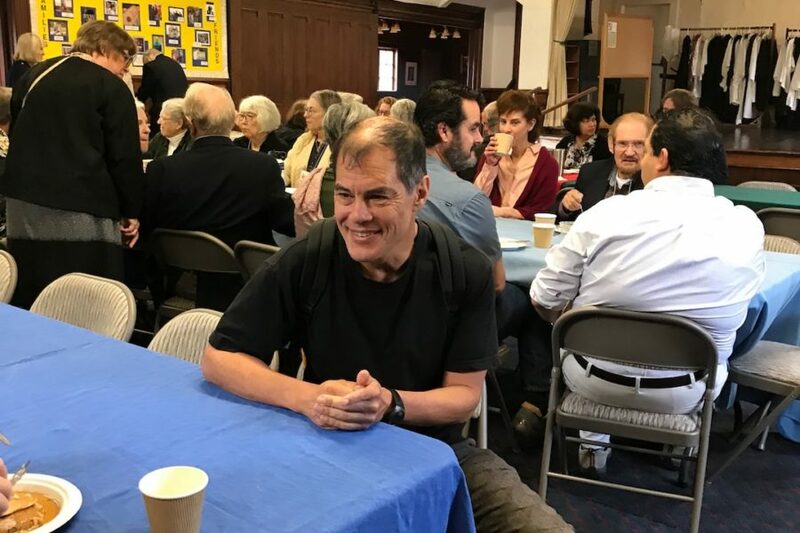 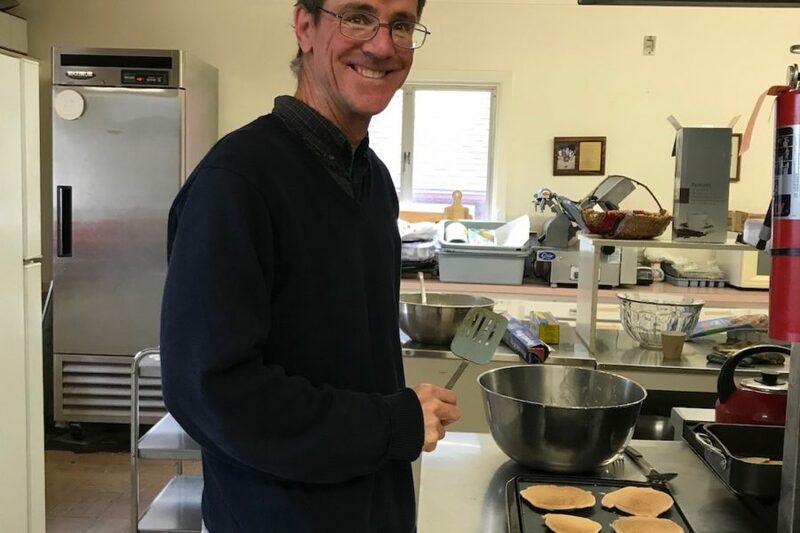 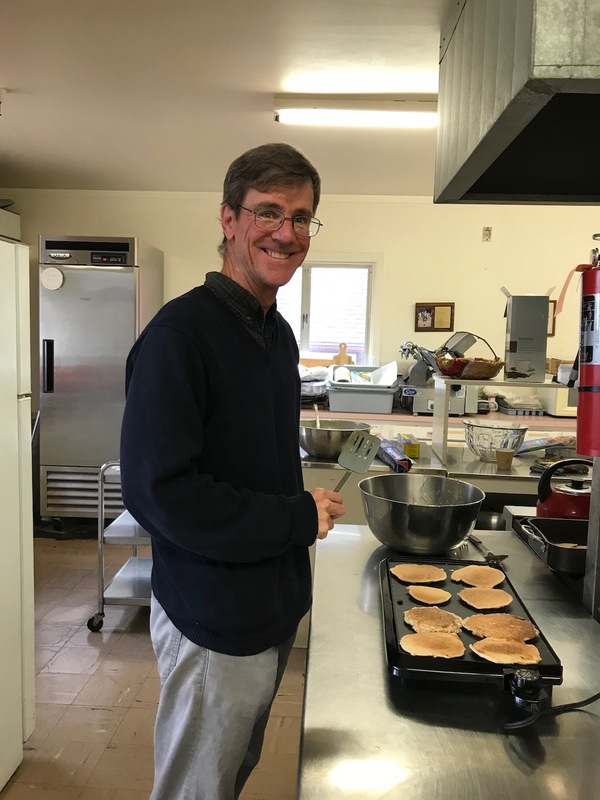 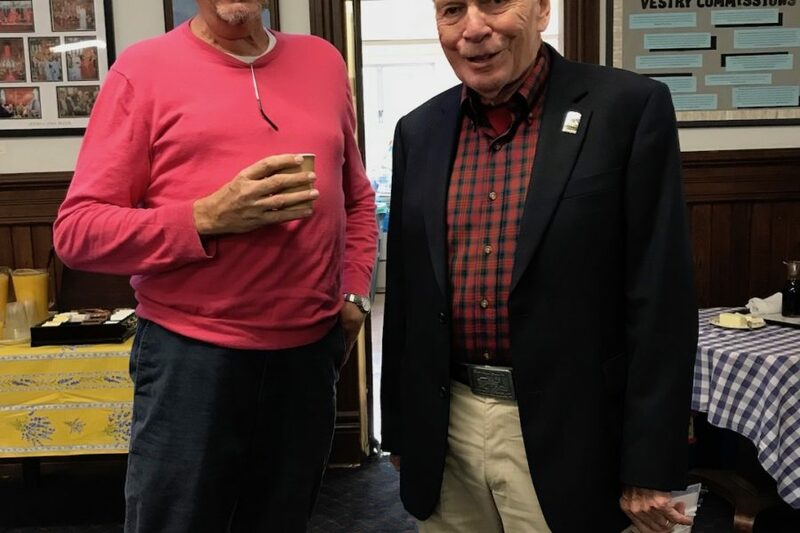 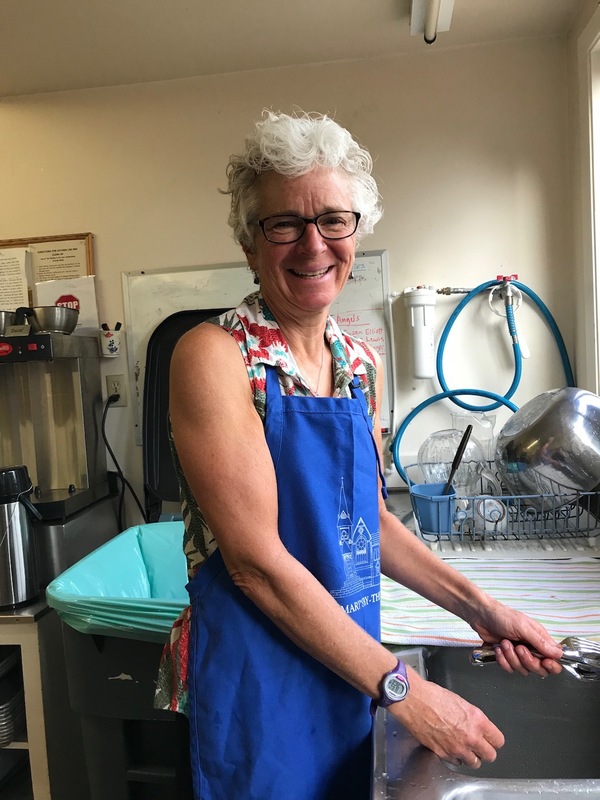 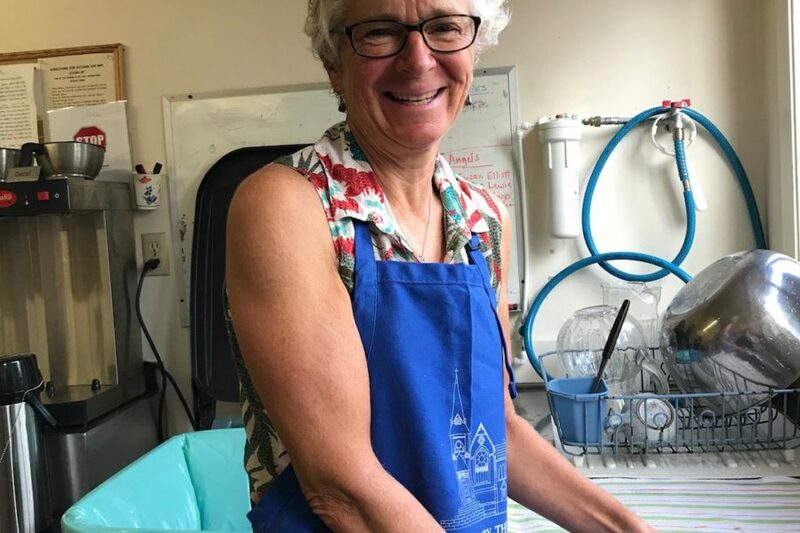 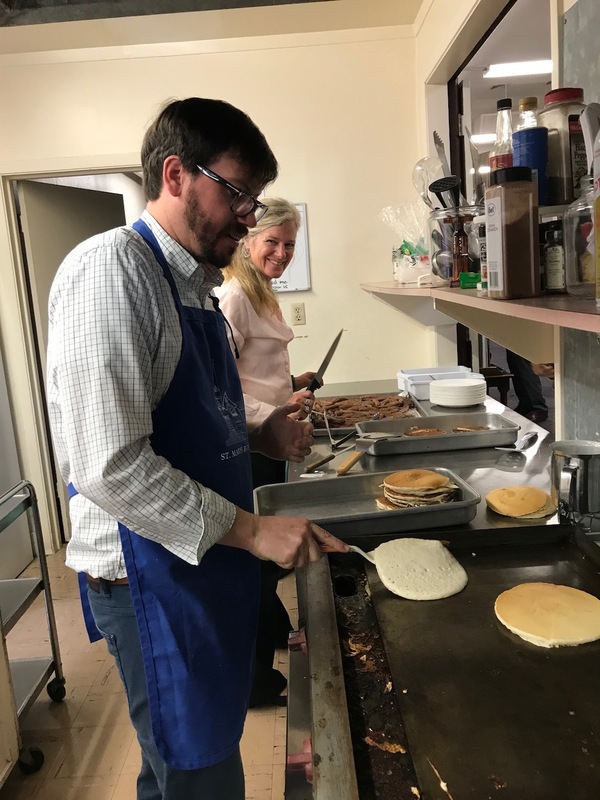 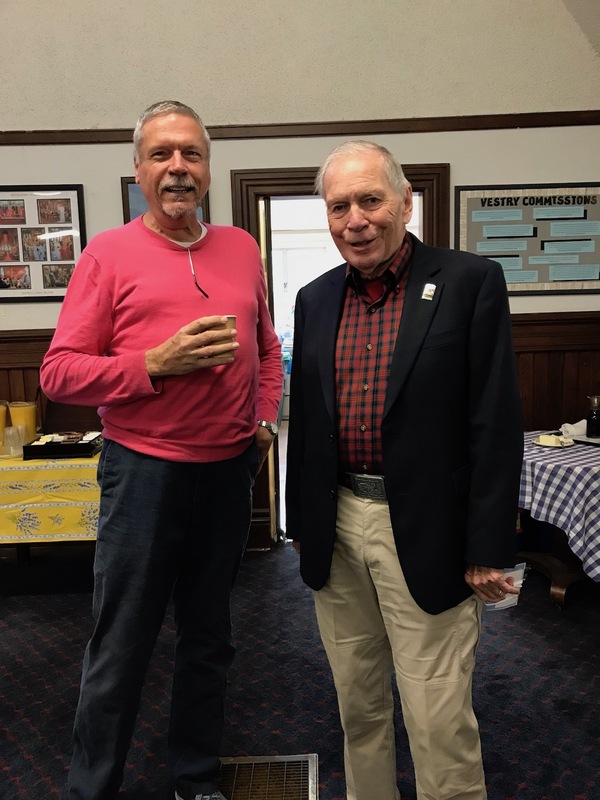 On Sunday morning, October 14, between the services, 8 o’clockers and 10 o’clockers entered Edwards Hall to the welcoming aroma of hot pancakes and sausages. 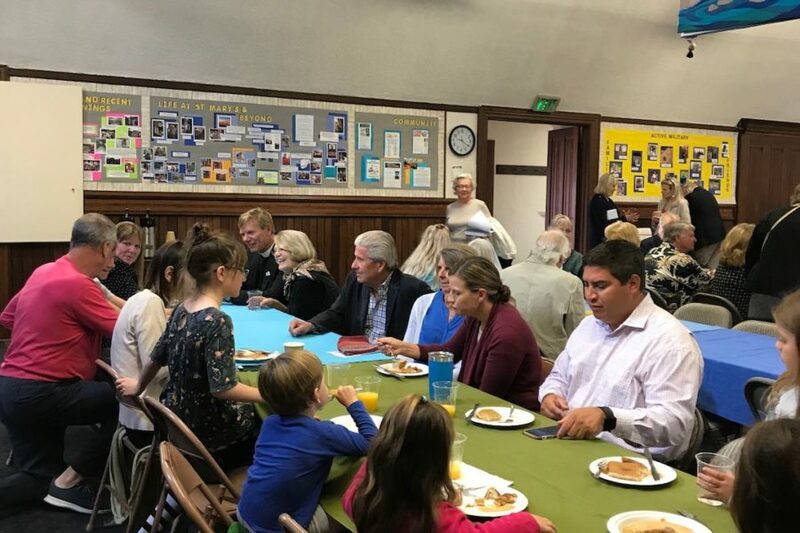 The event was all about fellowship; we enjoyed catching up with friends over a delicious breakfast. 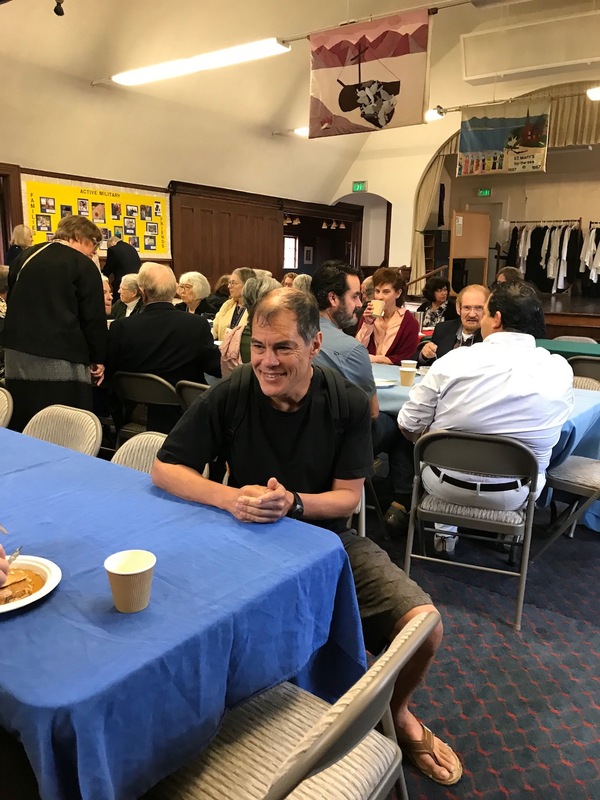 Our Stewardship Chair, Kyle Strom had just organized a month of parishioner stories told in church. 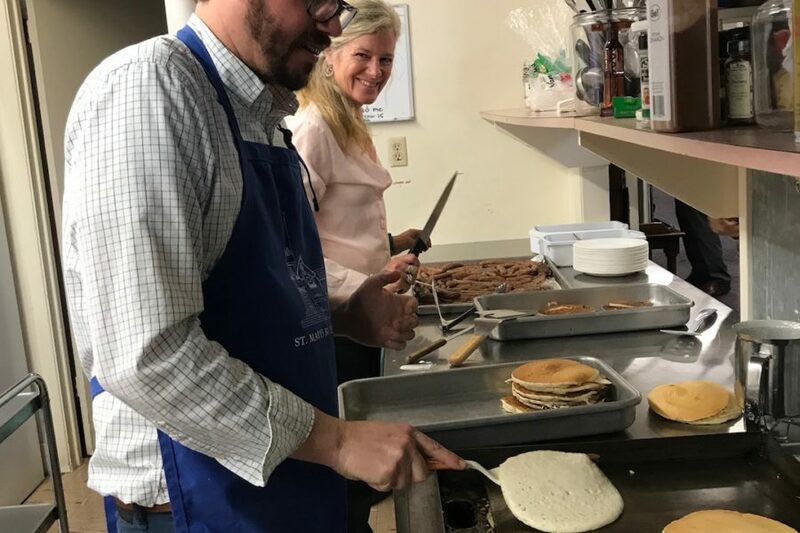 This team moved and inspired us, and then another team fed us! 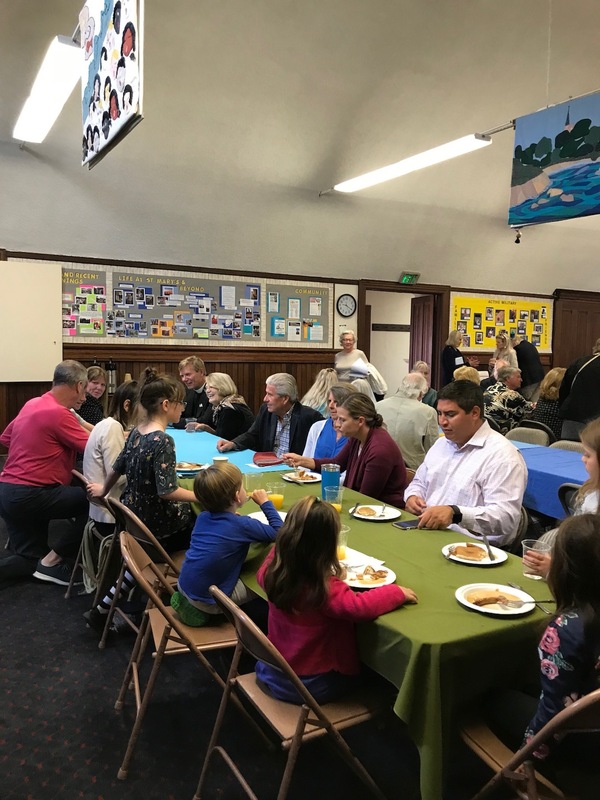 We’re grateful for the numerous reminders of why we’ve chosen St. Mary’s as our spiritual home.